Ohthankgawd. This project started out doomed, and I only barely snatched it from the jaws of death, but in the end I’m pleased enough with how it turned out. It all started when… I found this really cute Green Pepper hat pattern in my stash, and decided to whip it up in a really luxurious fabric for my mom for Christmas. 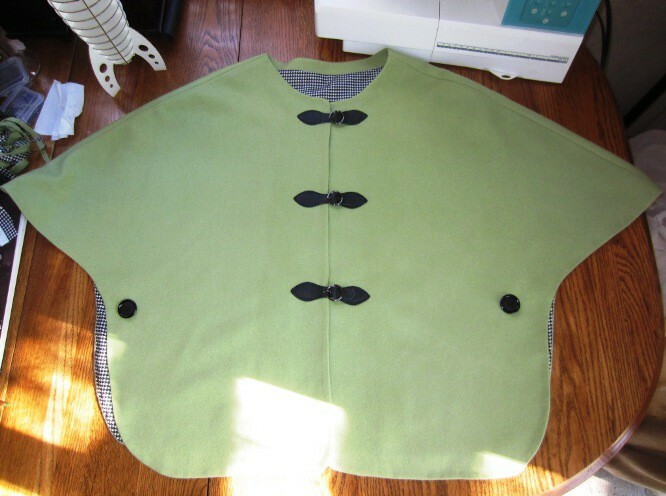 I was delighted when I found wool fleece at Mood—I have an Early Winters wool fleece jacket that is amazing: rich and lofty and soft and just the perfect blend of luxury and utility. Trusting Mood’s reputation (and pressured by Cyber Monday), I ordered 1.5 yards without a swatch. It came, it was gorgeous, it was everything you could want in wool except… IT WAS NOT FLEECE. It was flannel. And it was reeeeelly expensive. 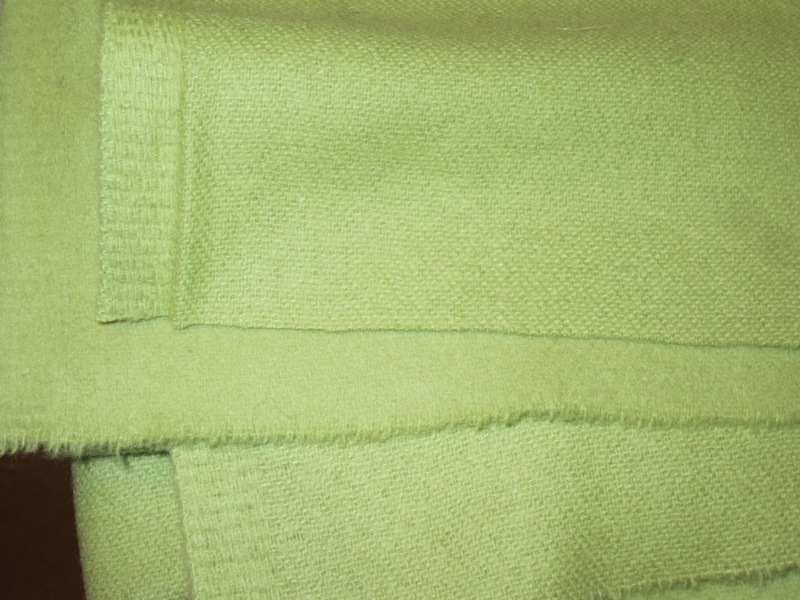 Thankfully, the wonderful folks at Pattern Review stepped up with suggestions for alternate uses for my tiny piece of glorious (acid green!) wool. 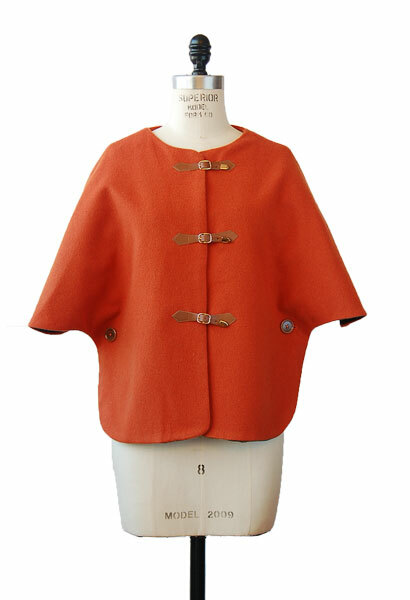 When the Liesl/Oliver+S Woodland Stroll Cape came up, it seemed like the perfect solution. Great reviews, looks awesome made up, takes only a yard and a half of fabric, reports that it “can be made in a morning…” Done. Plus I could tell my mom would love it. Incapacitated myself for the rest of 2014 with an unfortunate run-in with a can of pumpkin puree that resulted in four stitches, a tetanus shot, and a splint on my left hand until after Christmas. Erg. Fortunately, I knew this would give me time to fit a mockup on Mom when she came to visit for the holidays, so that was good! And to confirm that she would, indeed, love to have an acid green wool flannel walking cape! Whew. Unfortunately, by the time I could finally get back to working on it, I had completely lost my mojo. 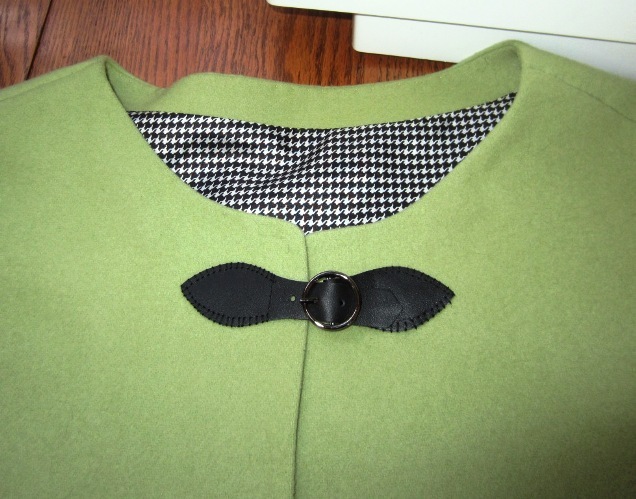 Just after New Year’s is never the ideal time to do your Christmas sewing. Ah, well–no choice but to forge ahead. Also, I ended up having to piece the lining b/c I ran out of fabric (the pattern calls for 1.75 y, and I had a yard and a third), but it turned out wonderfully inconspicuous (and forever invisible, as I forgot to snap a photo). I further soothed myself with understitching the lining in place by hand (not just on the facing, all around the perimeter), a nice tailoring technique which the glorious fabrics just deserved. And then, egad, the toggles. The toggles. Lots of drama, ultimately saved by hand-sewing. All in all, it really did turn out pretty damn smashing (I absolutely love the combination of acid green wool with the on-trend houndstooth lining, plus the black leather fasteners) although it took considerably more than “a morning”… And I am really damn thrilled to have this piece done and off the desk, so I can get back to the other Christmas sewing that was put on hold by injury: Tiny Toddler Twin Dresses. Hopefully Mom will get some pix for us of her wearing it!